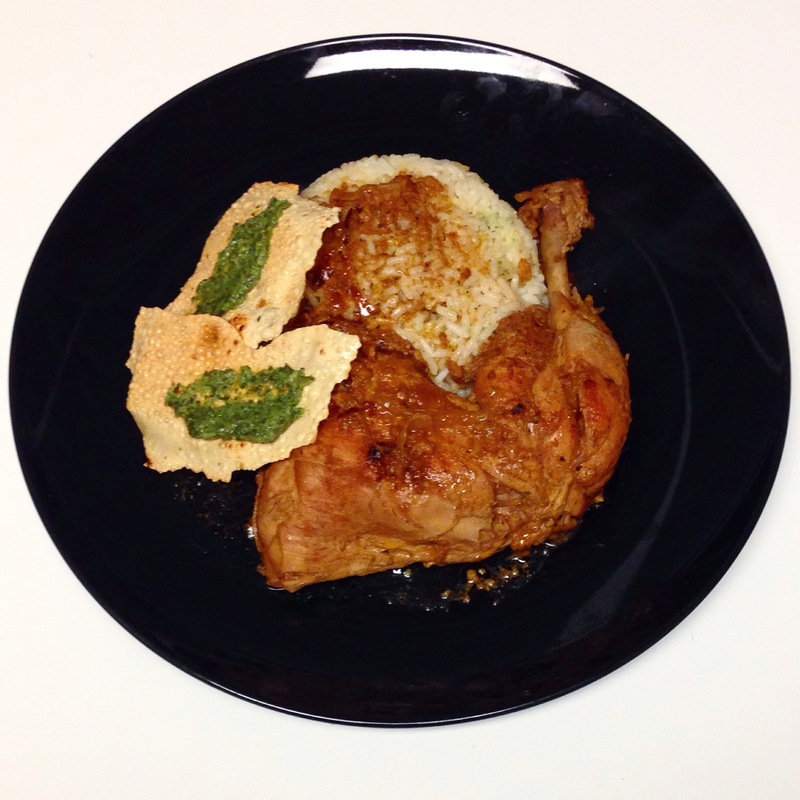 New Tricks for a New Patel: Chicken Masala with Rice and Poppads – Pao Says, "Open Wide!" 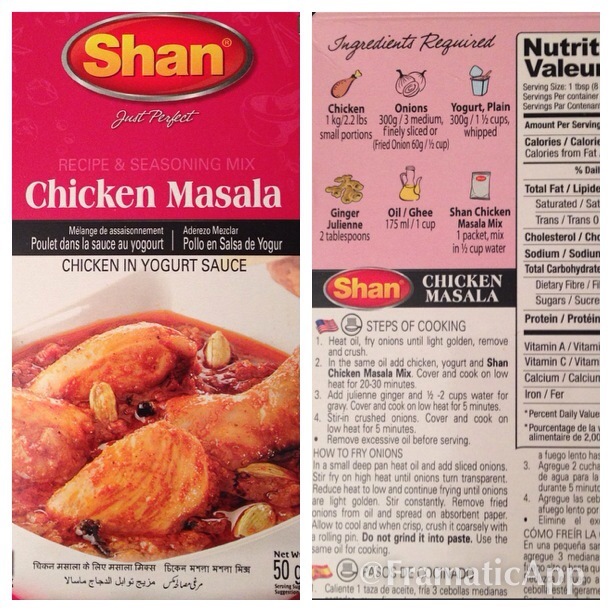 I took a whack at Chicken Masala in Yoghurt sauce last night and it turned out great! To accompany the chicken, I made some rice and some poppadoms, which I have recently been told are just called poppads!😁 I would describe them as an Indian crispy flatbread- great for dipping in different sauces/chutneys. My favorite is the coriander chutney- I love cilantro! I cooked the rice in chicken stock to give it a bit of flavor and I threw in a bit of the coriander chutney. Most of these things I wouldn’t normally have in my pantry, but it’s definitely worth the trip to buy and add to your stock! The round two recipe on this is pretty bomb- I definitely suggest checking it out !